One of the key elements of The Long View is journeying – the experience of walking along stony tracks, beside rivers, into rain-soaked valleys, and onto exposed hillsides. Each of the seven Lake District trees is set within the context of a specific geological landscape; each location is linked to a different heritage of natural, agricultural and industrial history and literary culture; and the view from each tree is unique. By walking to the trees we – and those who have joined us – have had the chance to shed the environment of cars, buildings and computers, to feel the ground and the sky, and at this slower pace, feel more connected to the land in sharing the tree’s point of view. The public walks we did through 2016 combined a basic guided walk with interludes to talk about the area’s ecology, geology and heritage, and, of course, trees. Along the way Harriet read poems in the locations where she composed them. The walks programme was busy and great fun with a lot of good fortune when it came to the weather. It is no longer active but the details are below in case you’d like to read more, or do the walk yourself. A 5-hour walk with a 300m ascent of Helm Crag above Grasmere. Moderate. What a great day that was! Read about it here. A 5-hour circular walk across limestone pavements. Moderate. Wonderful to share the walk and time at the tree with more than thirty people, in two walks a week apart. A rescued hedgehog and a wily fox, not to mention a spectacular hawthorn, great views, and insights into the natural ecology and history … More here. A 5-hour circular walk taking in tough ascents and descents. Hard. The weather stayed fine for us and we wandered from the bare heights around Stoney Cove Pike down into the wooded basin of Troutbeck Valley, to meet the tree – and then it started drizzling! But spirits weren’t dampened, and we walked through the yard of the farm once tended by Beatrix Potter on our way out of the valley. More about it here. 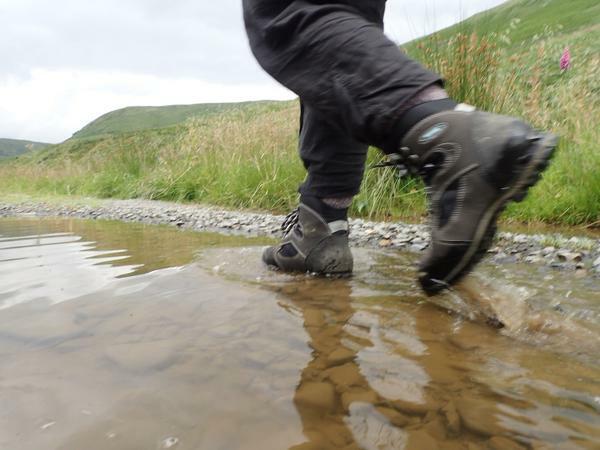 A 5-hour circular walk in the lower reaches of the Kentmere Valley. Moderate. The sun shone for us and the rowan berries were at their brightest as we took a relaxed stroll, lunched at the tree, and criss-crossed the River Kent. A 5-hour circular walk taking in the Autumn scene along Langstrath Beck. Moderate. Almost as still as an autumn day can get – walking to the Langstrath Birch along Langstrath Beck was warm, peaceful and golden: birch trees, larch and oak turning shades of yellow; purple moor grass edging the fellsides bronze; and bracken rust brown. A wonderful day walking through the valley, talking about its history, discussing trees, watching farmers gather sheep from the high fells, and, of course, meeting the Birch, which was looking stunning. There was poetry too, including the poem ‘Paper Bark‘ written under the Langstrath Birch earlier this year. A 4-hour walk in the fells above Ullswater, taking in Spying How. Moderate.